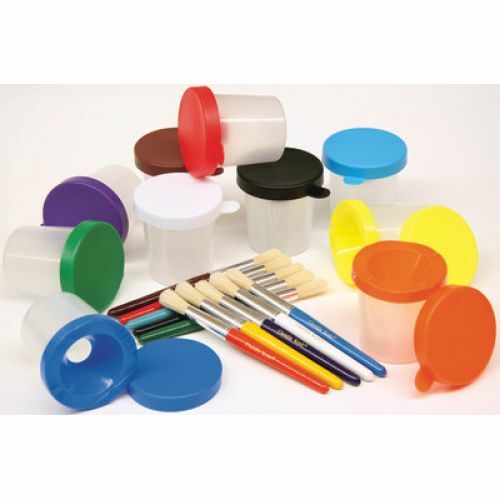 No more spilt paint with these dual-lid storage cups. The color of the lid easily identifies the color of the paint inside. The outer lid seals the cup securely. The inner lid keeps the paint from spilling out if the cup gets knocked over–and serves as a brush holder as well.